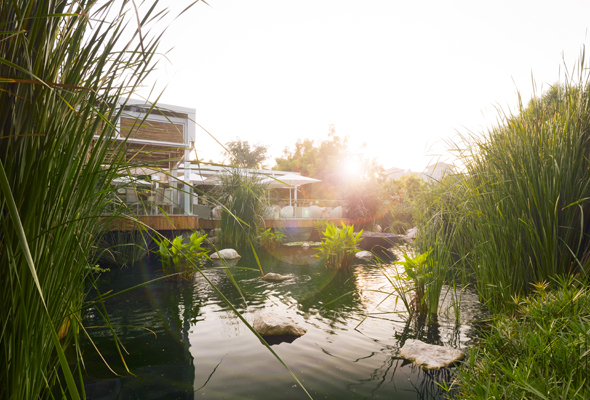 You might know Al Barari as the lush green location for healthy breakfast spot, The Farm, but it’s also soon to become home to a new Spring festival taking place this April. Running for two weekends over April 12 and 13 and 19 and 20, luxury real estate developer Al Barari will open its famed private gardens to the public for the first time. Taking place from 9am to 2pm, the festival will run in the retail area, and will offer a full programme of entertainment and activities for adults and children alike. Each day little ones will be able to hunt treasure through the gorgeous Al Barari gardens, or get creative in an arts and crafts or even circus school workshop. A petting zoo, retro games and pony rides will be brought in especially for the event, and the Melodica Music school will serve up the soundtrack to a family-friendly afternoon alfresco. Or, head to the vegetable patches and learn about nature while you dig up some organic veggies. Adults will be able to shop their way around a wellness-centric pop-up market filled with healthy treats and homegrown brands. Once you’ve shopped up a storm, relax and fuel up in one of the shaded picnic areas. At the centre of the festival, a 2-metre tall chocolate egg will serve as the star of the show until an egg-breaking at 2pm on the final day, Saturday April 20. You’ll need to purchase your ticket in advance, as there’s only a limited space. Tickets are Dhs60, with children until 5 able to go for free.